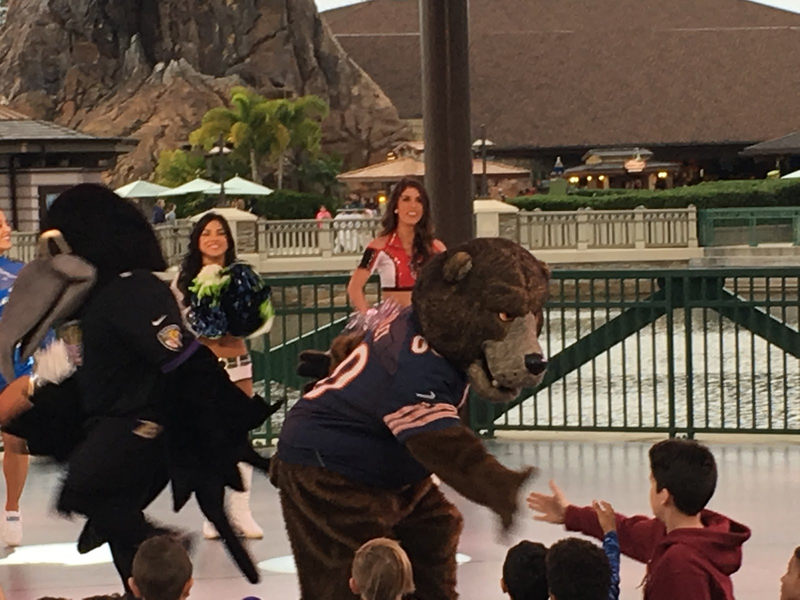 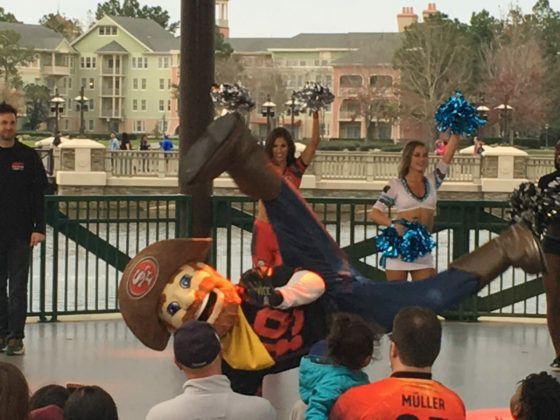 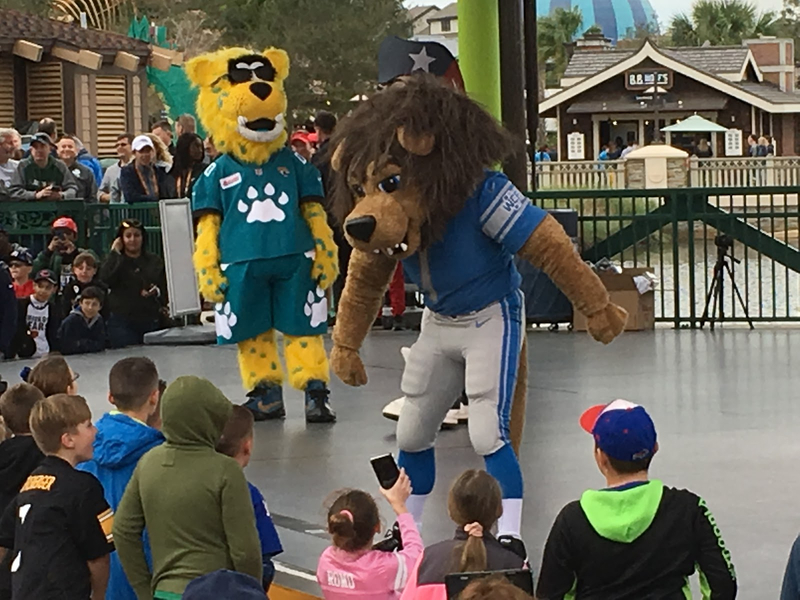 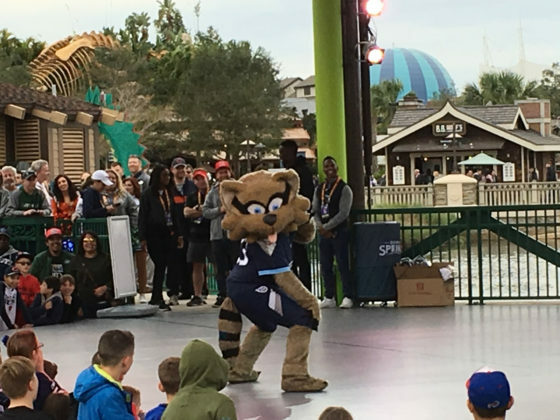 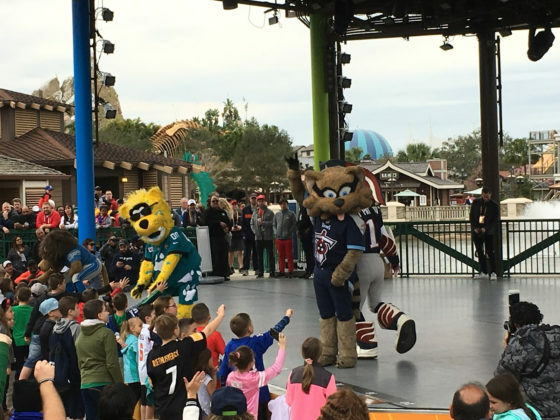 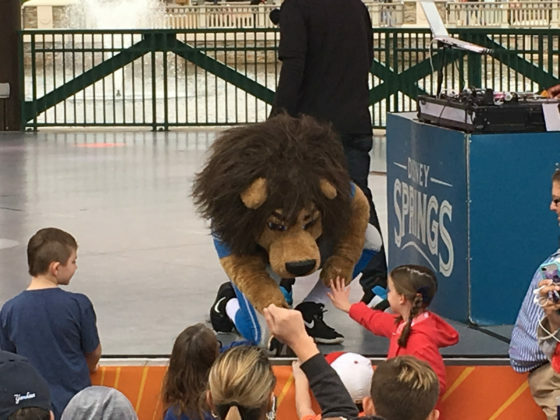 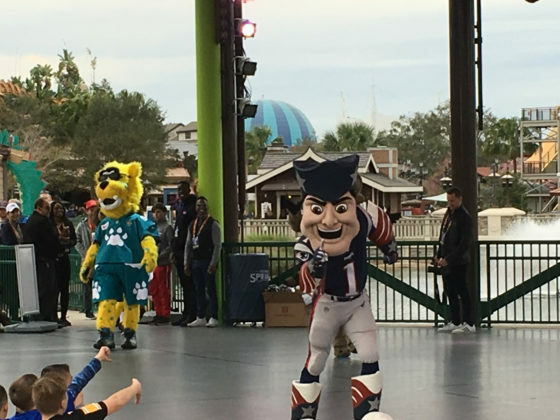 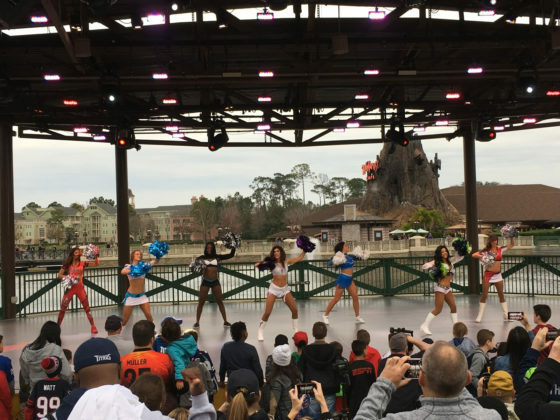 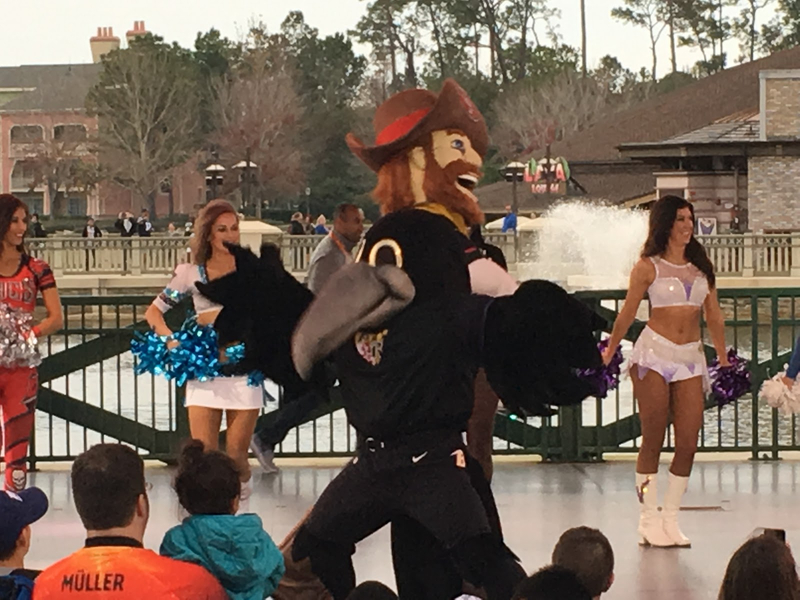 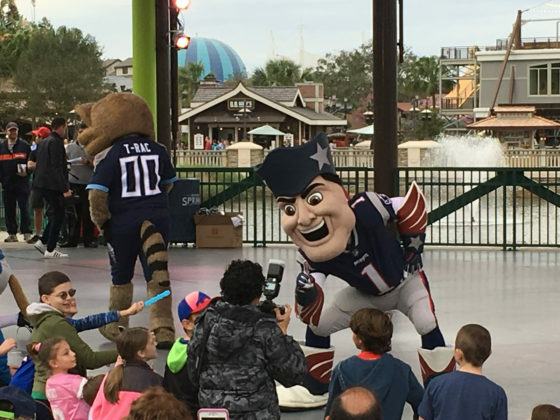 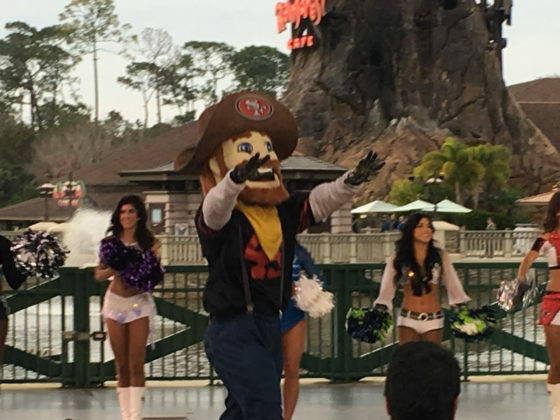 One day before the NFL’s best do battle on the gridiron, cheerleaders and mascots stopped by Disney Springs to get everyone hyped up for the big game. 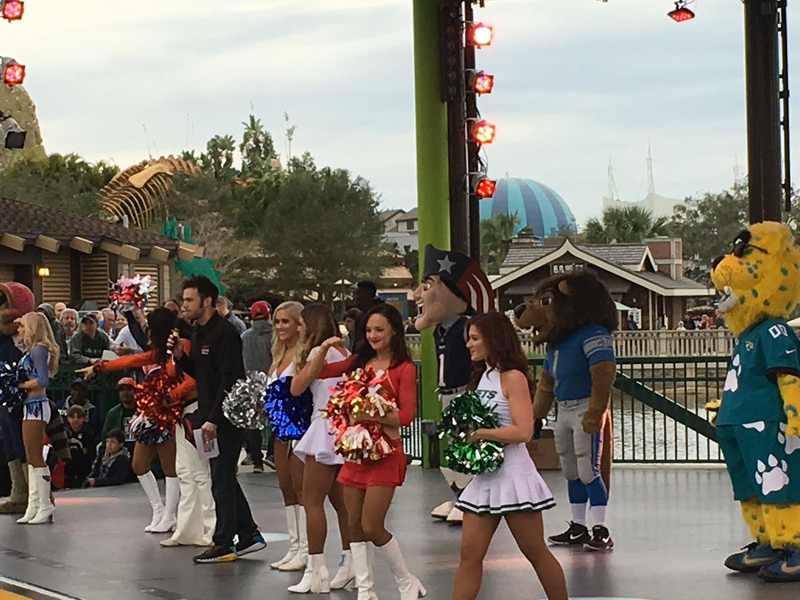 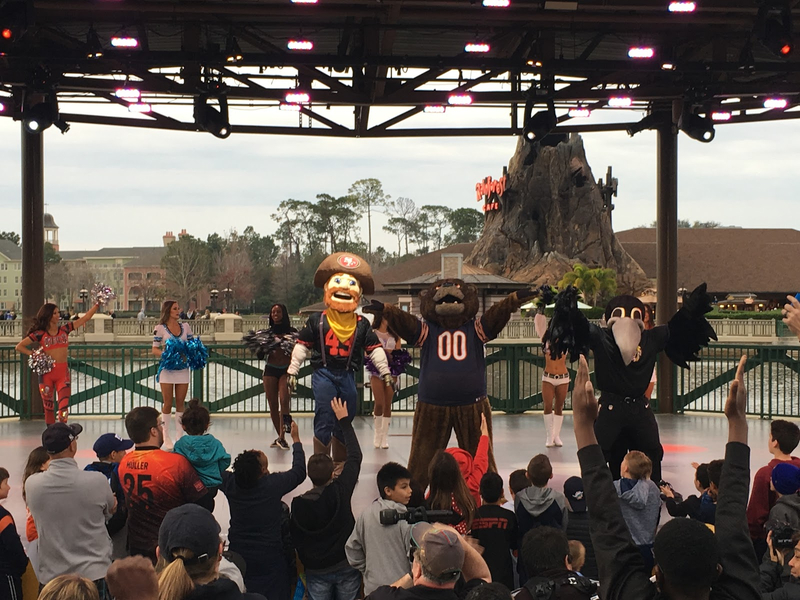 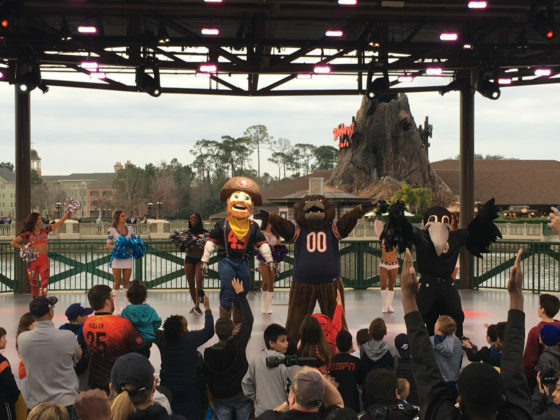 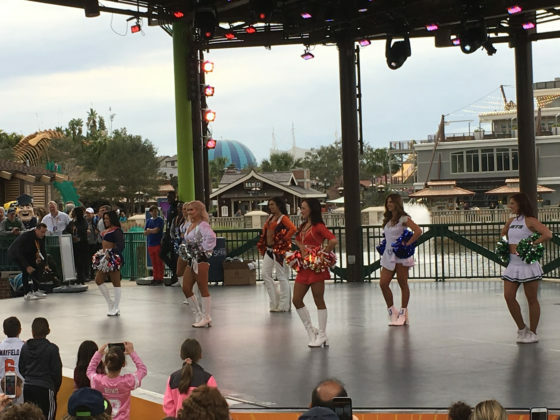 The pep rally consisted of three separate shows, each with different NFL cheerleaders and mascots, on the Marketplace Stage just outside of the World of Disney store. 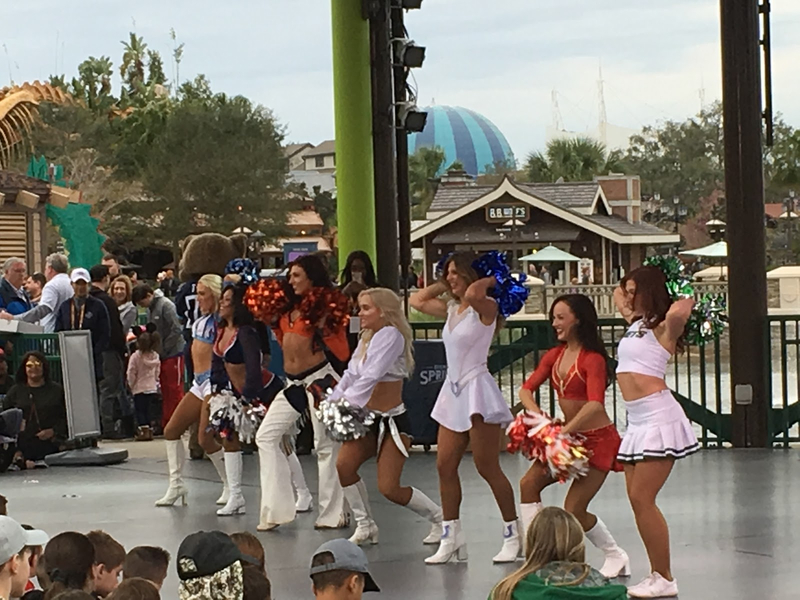 A DJ got the crowds energy up before the cheerleaders came out to introduce themselves and explain to the fans what it was like to be a professional cheerleader. 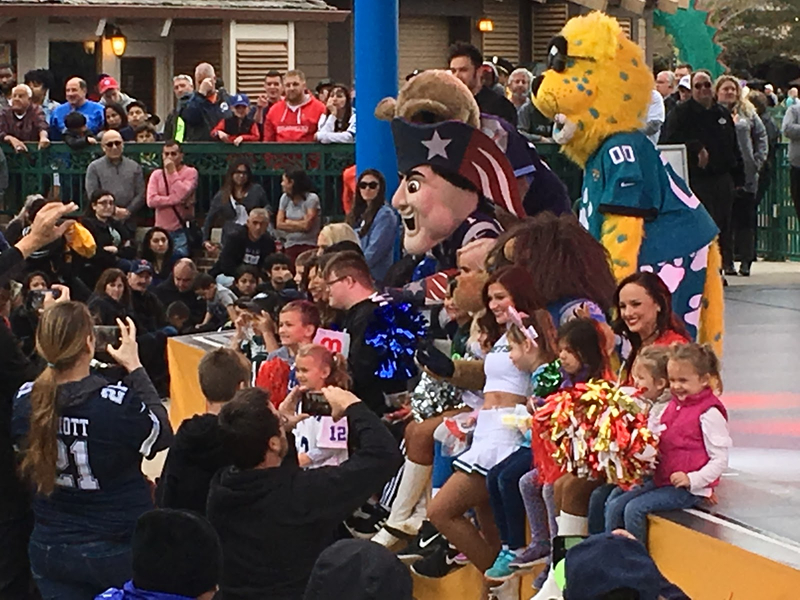 They were then joined by the mascots, who brought the energy to a new level by showing off their best touchdown celebrations (the New England Patriots mascot was not popular). 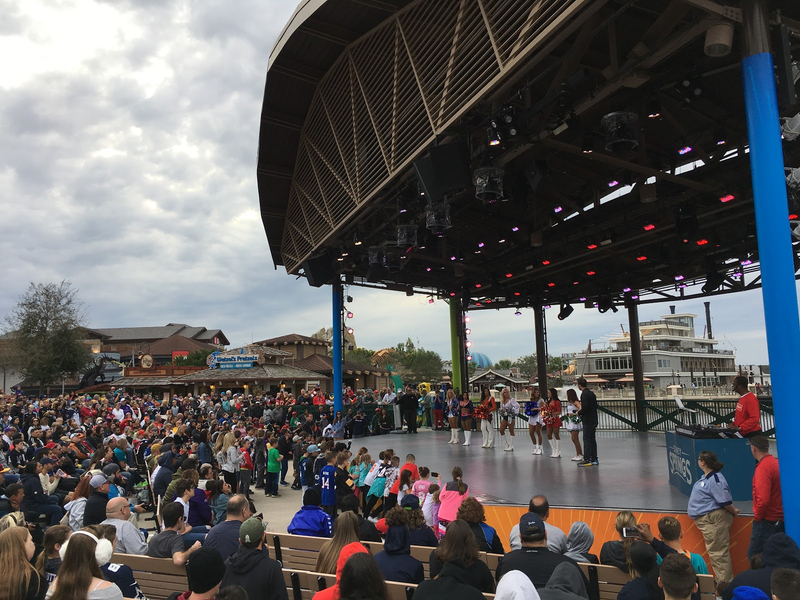 Next, each cheerleader picked a child from the audience for a trivia contest that tested both their Disney and NFL knowledge. 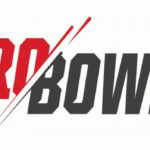 The 2019 Pro Bowl takes place on Sunday, January 27 at Camping World Stadium in nearby downtown Orlando. New this year, game tickets also grant access to the Player Red Carpet, KidZone, fireworks, and more. 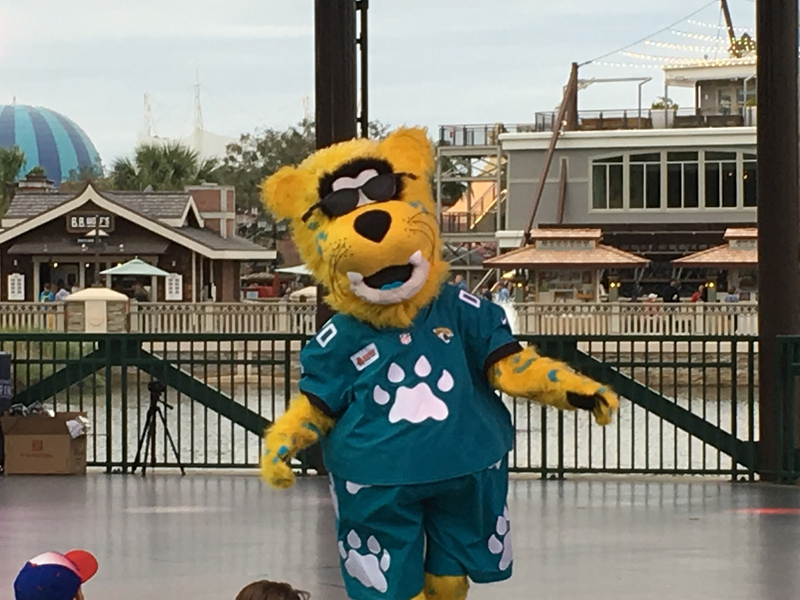 Guests visiting Disney Springs to celebrate their favorite teams are encouraged to wear game gear and share photos on social media using hashtag #DisneySprings for a chance to be featured on @DisneySprings social media handles. 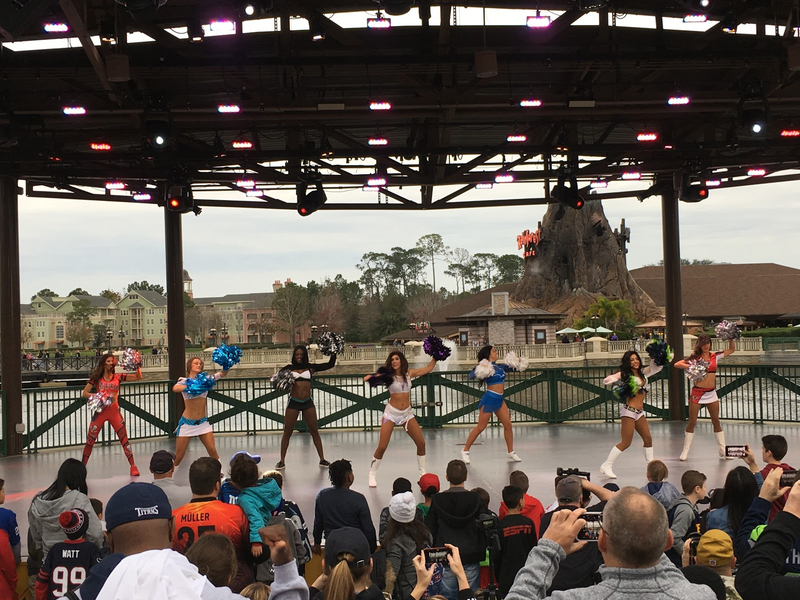 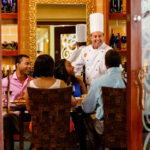 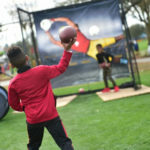 The Pro Bowl Experience and its wide assortment of activities returned once again to Walt Disney World’s ESPN Wide World of Sports Complex.